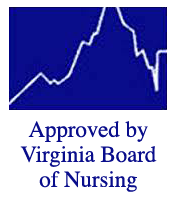 Moon River Nursing Careers in Ashburn, Virginia, is a newly licensed Nurse Aide training school. As part of our GRAND OPENING, there are scholarships available to qualified students who register this month for any upcoming class. In just 5 weeks, you can be trained as a Nurse Aide and be ready to take the state exam. Becoming a certified nursing assistant will open the door to exciting careers in hospitals, long-term care, assisted living, memory care facilities, physicians’ offices and in home health. The Nurse Aide course includes helping each student with his/her resume and practicing job interview skills. The tuition includes the fee to take the CNA exam. The instructors at Moon River Nursing Careers are committed to each student’s success! Grand opening specials include scholarships and interest-free payment plans for the upcoming weekend class (March 16- June 2, 2019). Visit moonrivernursingcareers.com to learn more or call Betsy at (703) 955-1811. Classes are Saturdays and Sundays 8 a.m. -4:30 p.m. for classroom/lab. Clinicals are held on Saturdays and start at 6:30 a.m. Interested students should talk with Betsy at least 7 days prior to the start of class. Limited seating! Reserve your place today! Moon River Nursing Careers is an affiliate of Moon River Senior Care, a home health agency serving residents in Loudoun and Fairfax counties since 2014. This entry was posted in Blog and tagged CNA class, CNA exam, Moon River Nursing Careers, nurse aide class, nursing careers. Bookmark the permalink.